Vietnam real estate markets are improving steadily. This is the result of the recovery of Vietnam's economy. Dr.Sopon Pornchokchai, President, Agency for Real Estate Affairs (www.area.co.th) was invited by the Vietnam National Real Estate Association (VNREA) to attend the ceremony of the Vietnam Real Estate Awards on April 14, 2018. He conducted a small survey which was prepared in Vietnamese to participants at the event. 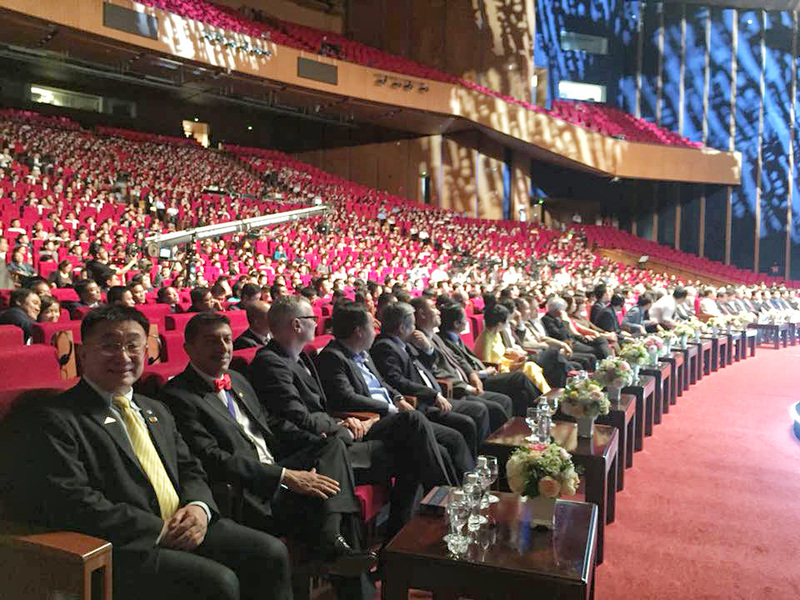 There were some 1,000 invited guests attending the event at the Vietnam National Conventional Centre in Hanoi. However, only some 100 questionnaires were returned. Opinion of the Respondents in Hanoi. Vietnam's economy in 2018 6.8 out of 10. Vietnam's economy in 2019 7.4 out of 10. Vietnam's real estate markets in 2018 6.5 out of 10. Vietnam's real estate markets in 2019 7.1 out of 10. On the whole, Vietnam's economy in 2018 would be above average at a score of 6.8 out of 10. However, in 2019 the economy would rather be better at a score of 7.4 out of 10. Vietnam faced an economic crisis since 2008. The crisis continued to 2013. Since 2013-14, according to the World Bank, the economy were gradually recovered (https://bit.ly/2vpUJL7). Considering real estate markets, it was estimated to be above the average at a score of 6.5 out of 10 in 2018 as well. However, it was not as bright as the economy at large. Perhaps, property markets were depending on the economy. However, in 2019, the situation would be even better at the score of 7.1 out of 10. So far as in the observation during the latest Hanoi visit during April 13-15, there were more and more new developments going on in the city. Where are the destination for buying property abroad for Vietnamese? Singapore is a dream destination followed by Australia, Germany and United Kingdom. In Asia, apart from Singapore, Thailand are also somewhat popular as well followed by Malaysia and the Philippines. In fact, the costs of buying properties in Singapore were exorbitant. They had to pay 15% of the transaction tax as foreigner as well as annual property taxes. Vietnam developers were moving to develop and invest oversea as well. Cambodia, Laos, Myanmar and Thailand are some major destinations. In the future, Vietnamese developers may go further to Australia and other ASEAN countries. Many of them are very professional observed by a diversity of awards delivered recent.